Personalized Silver Plate ID Bracelet with Birthstone Angel adds shimmering charm that's truly personal. 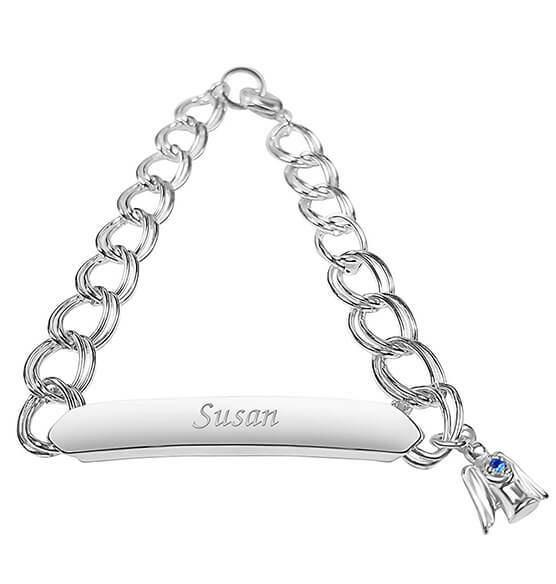 ID bracelet features a beautiful chain, sleek name plate and angel charm with your unique birthstone. Specify month and name.